I've been sent some super sweet gardens over the past week or so. Raven Forest sent me this wonderful series complete with some adorable tiny people (and hedgehog!)! And the staff at Garden Lamposts have been busy, with this pothole inspired installation! 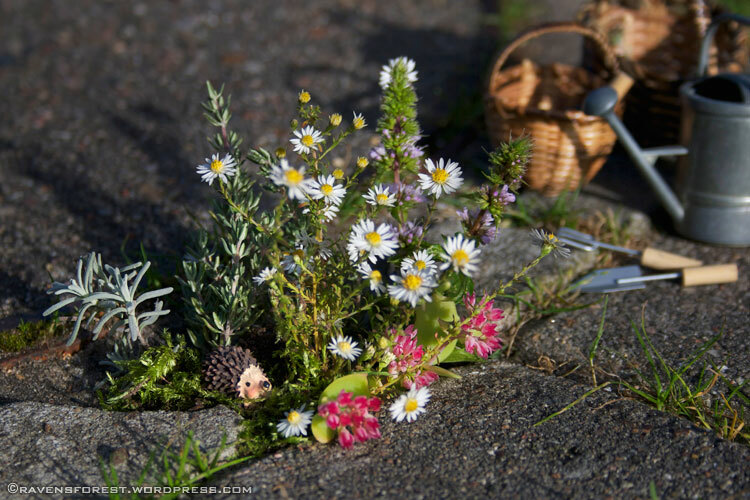 Keep sending me your pothole gardens so I can help spread the love!